Downtown Minot from Main St. and 3rd Ave. 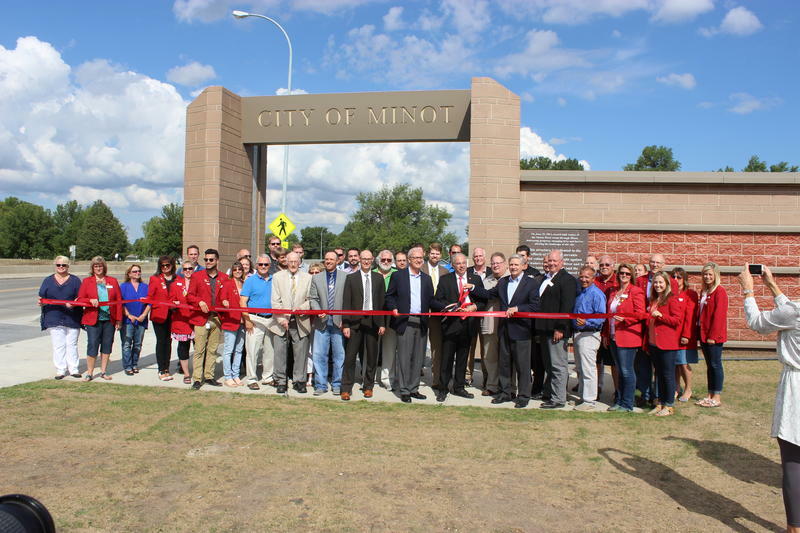 It was the largest infrastructure project in Minot’s history. 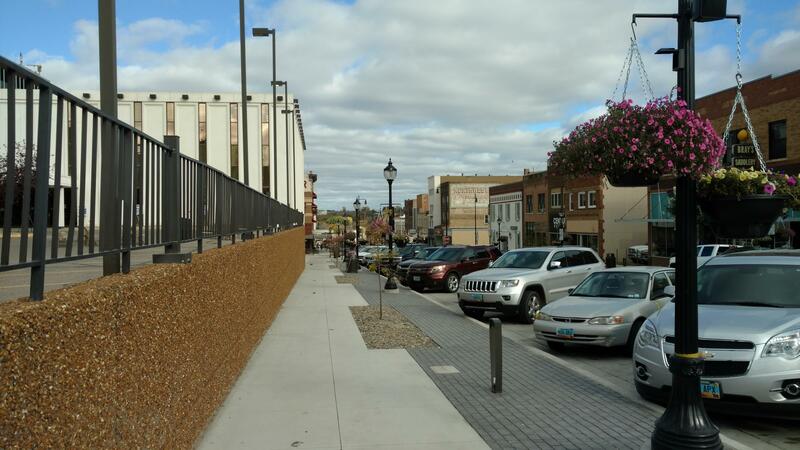 The project was a rebuilding of Minot's downtown. It was one part of the city's recovery from the devastating 2012 flood. Minot mayor Chuck Barney said 26 city blocks of downtown Minot were affected by the project. "We replaced or upgraded all that was in the public right-of-way," Barney said at a ceremonial ribbon cutting for the project's completion. "The water mains, the sewer mains, the storm sewer pipelines, roads, sidewalks, benches, trees, streetlights -- everything." Barney said the multi-year project has a nearly $35 million price tag. The federal Economic Development Administration gave the city an $18 million disaster recovery grant to help fund it. Other funding included a $4 million Community Development block grant, $1.25 million from the state Water Commission, state “surge” funding and some other local sources. "The downtown is the heart and soul of any community," Barney said. "That's especially so in Minot." Barney said the people that truly bore the brunt of the project were the downtown merchants, who had to endure traffic problems that might have cut into their business. "I want to thank them for their patience, sticking with us to see the light at the end of the tunnel," Barney said. "They realized how great this was going to be for our community." In an interview, Barney said he hopes to see people come back to the downtown. "We got the project finished just before the holidays," Barney said. "It really sets it up for the future, making the downtown the heart of the community." The new commander of the Army Corps of Engineers Mississippi Valley Division got his first on-site look at the impact of the 2011 Souris River Flood. As Dave Thompson reports, state and local officials want General Michael Wehr and the Corps to remember Minot – when it comes time for federal funding. The numbers tell the story: 4100 structures engulfed; 11,000 people evacuated; hundreds of millions of dollars in damages. And Minot Mayor Chuck Barney says the flood changed the psychology of the community.